I’d like the water superintendent to advise how many times in the last 5 years Island Health has been notified when the turbidity was high. Of course there aren’t gong to be any boil water advisories if Island health has never been contacted. Since the water superintendent provided info to the Goat Radio – how about providing the long awaited report from June 21, 2018 outlining the steps he takes when turbidity is high. Why is he hiding? Why won’t this board allow a report to be made public? Answer: we are being lied to. I notice the admin at UBID finally posted the boil water advisory on the home page of their website as it was just a link under admin’s new posts. Geez – a bunch of neophytes running everything – what could possibly go wrong? 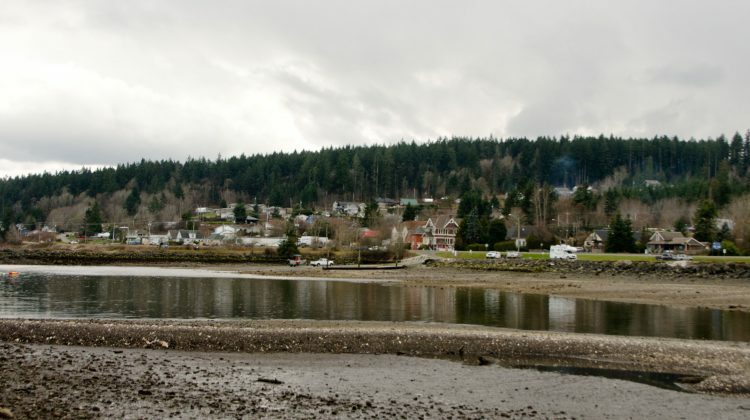 UNION BAY, B.C- Residents of Union Bay will be boiling their water for the foreseeable future. That’s according to Danny McGill, the public works superintendent for the Union Bay Improvement District (UBID). According to the district, the boil water notice is effective for all users of the district’s water system. The system runs from the north end of Kilmarnock, south to the Buckley Bay rest stop. The notice has been issued due to unacceptable levels of turbidity, caused by recent heavy rains. Union Bay switched in August of this year to a standard of 1 NTU or less for unacceptable levels, after previously adhering to a standard of 3 NTU’s. McGill told the MyComoxValleyNow.com newsroom that the NTU readings from Langley Lake, the district’s water source, were at 1.5 as of 11:00 on Saturday morning. He said it was hard to say when the notice would end, as it takes a while for turbidity to settle. “It’s mother nature that we’re dealing with here,” said McGill. McGill also indicated that Union Bay has been below 1.0 NTU’s throughout 2018, though in years previous they had gone over that limit, though that was before the switch in August. “With the new regulations set out, we’re at 1.0, and that’s what we have to stick by, and that’s what we’re doing,” said McGill. He believed residents of the area shouldn’t be concerned about NTU levels from the past. “In the past, VIHA (Island Health) has been well aware of our levels,” said McGill. He indicated that all the bacteriological samples from the past few days have not shown anything concerning. As for how the community was notified, McGill believed it was adequate. Notices had been posted on mailboxes throughout the water system area, and radio stations had been contacted. Some residents had been concerned, however, about a lack of notice and the mailbox messages not being seen. In response to those concerns, McGill said he was sure things “could always be better” but also said UBID’s website and their email notices were useful. “It’s a pretty small community, word travels pretty quick around here,” said McGill. Sampling continues daily, and McGill said that UBID is in “constant communication” with Island Health. Updates on the boil water situation will be relayed to the community as quickly as possible. Previous Post Union Bay Trustee introduces her new blog.